Here’s another look at Left-Wing Archie Bunkers, or Faculty Lounge Fascists or whatever term you like for the make-believe “teachers” (LMAO) who have ruined the educational system. FIRST – A video featuring THE Camille Paglia and THE Christina Hoff Sommers reiterating how much damage has been done by the way the educational field was taken over by petty, close-minded political zealots. Professor Camille Paglia – another of us former Democrats (like President Trump himself) who have grown disgusted with how low that party has sunk – weighed in on the circus that the Democrats’ corporate media has reduced itself to. Paglia called what she said the Democratic Party has done to journalism “absolutely grotesque” and warned it would take decades to recover. Balladeer’s Blog once again gives a shoutout to the legendary Camille Paglia, who is always refreshing to hear from in this time period that has seen the political left become even more irrational than religions have always been. Welcome back to Balladeer’s Blog, the only site on the web that truly criticizes American Liberals and American Conservatives equally. I’ve loved using the above quote for years when dealing with the hilariously pretentious asses called American Liberals. 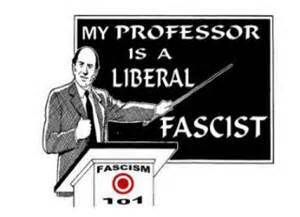 More specifically the pompous and narrow-minded Faculty Lounge Fascists, of whom Barack Obama is the most comical example. These people pretend they’re “educated” (a word they say like a haughty baroness from a bad Gothic romance) but are merely credentialed in ever-narrower fields of study. These people don’t know anything that they weren’t told to think while in a classroom setting, and they blather on about their tiny area of interest with the same laughable snobbery shown by the Comic Book Guy on The Simpsons. They will grandly pretend they’re fit to decide if someone is qualified to speak about “gender theory” or “transracial-heteronormativity in the Patriarchy” or whatever other subjects that have been invented by the bureaucrats who masquerade as educators here in the 21st Century.